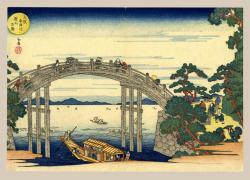 A Ukiyo-e printmaker, Gakutei was a native of Edo, but lived and worked in Osaka in the 1830`s. 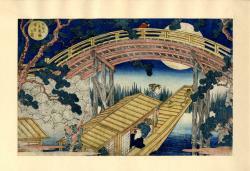 His work was much influenced by Hokusai. A Kyoka poet, Gakutei also put his own poems on his prints. Popular in his time, he was a good craftsman who made many excellent surimono and book illustrations.